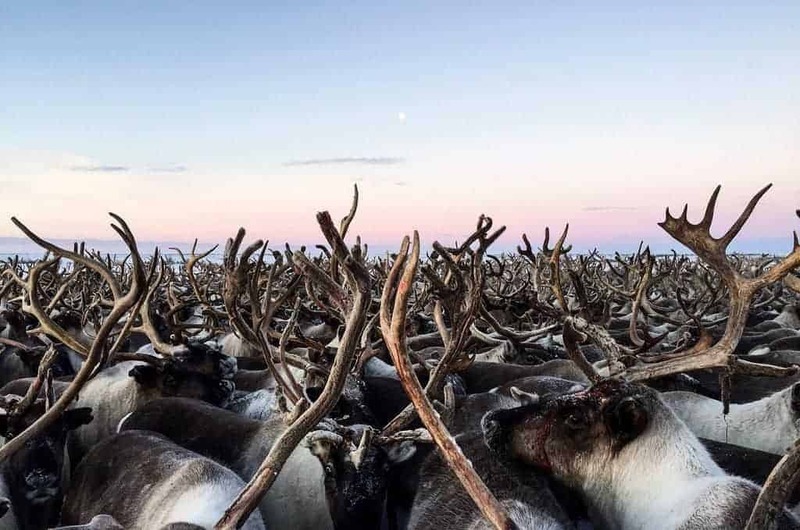 Join the epic Nenet reindeer migration and experience the harsh beauty of the Arctic Circle, as well as the spectacle of cooperation between humans and animals. 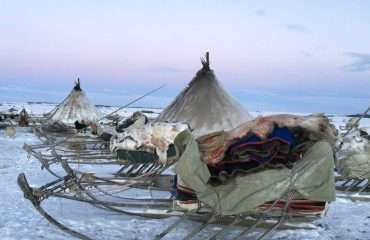 Travel and live with the Nenets in their traditional clothes and tents. 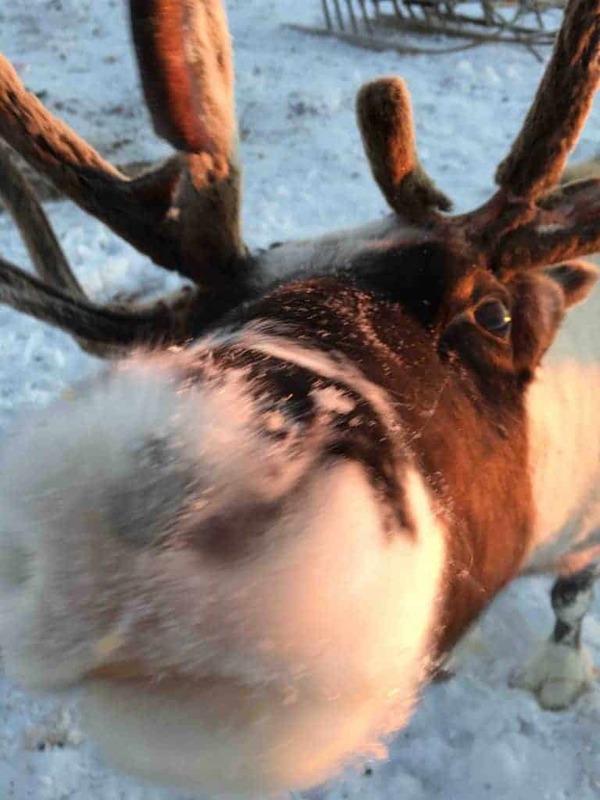 Join the annual reindeer festival and have a true cultural immersion. All about the Nenets Reindeer Migration Expedition, 17 Days, Culture, Siberia. Experience the Reindeer Herding Festival. It’s a rare opportunity to experience timeless cooperation between humans and animals. By participating with the migration, you become closer and have a more deeply personal experience. It’s a breathtaking thing to witness. You will need to be fit and motivated to join. But we will talk through everything as soon as you are interested in joining. We will ensure that you are both suited to this challenge and completely prepared. The Siberian Migration is a one-of-a-kind experience that feels as authentic as group travel can get. 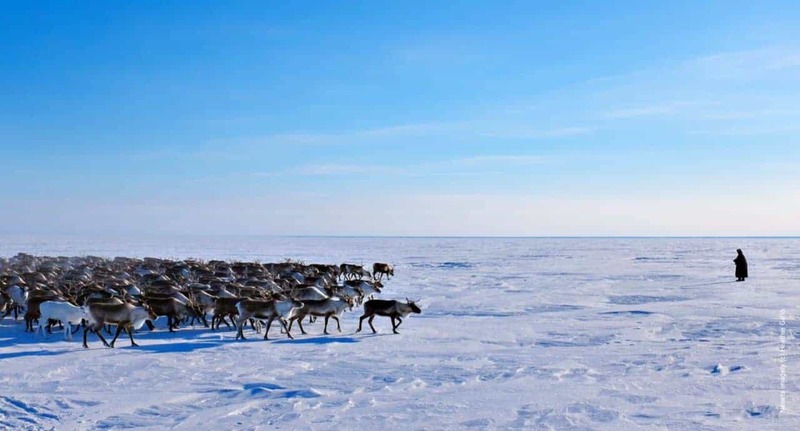 The migration is timed by weather and the reindeer’s instincts, as much as by the Nenets. The expedition is scheduled to join this migration and we could not offer the same experience outside of this event. For this reason, we can only offer the expedition on or around the dates set. Professional Russian-speaking expedition leader with full communications and medical kits. 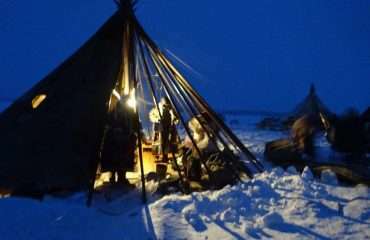 Accommodation throughout, in reindeer-hide tents (chums) on migration. All standard meals (taken with the Nenets families) and soft drinks. Internal transport as outlined in itinerary. Internal flights Moscow to Salekhard. Special permits and permissions within Russian. International flights/ travel to and from Moscow and to/from the team hotel. Personal equipment (full kit list in the Handbook). Due to the potentially very severe weather conditions on this immersive expedition, teammates should consider their kit in good time in case buying, hiring or shipping is required. 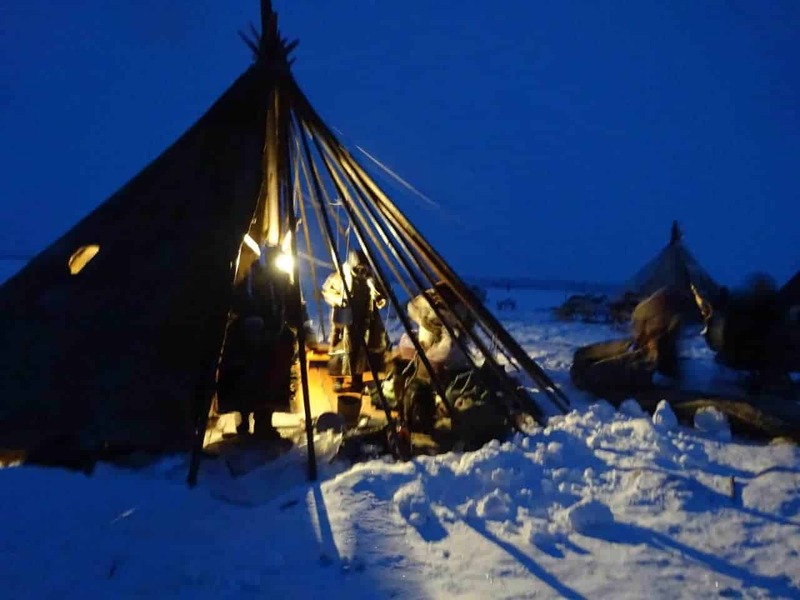 The following is the outline plan for this culturally immersive journey with Siberia’s Nenets nomads – it’s the ‘substance’ rather than the specifics. A fuller itinerary is provided in the Nenets Expedition Handbook which is available on request or upon application to join the team. All teammates arrive at Moscow’s Domodedovo Airport at or before 1600 on Sunday 25 March 2018. Your expedition leader will be at a local hotel, served by a regular airport shuttle. The expedition begins at 1700 that evening, with an arrival brief and introductory team meal at the hotel. Get some sleep before a 0300 internal flight to Salekhard, organised by us. Day two involves a seven-hour drive out of Salekhard in all-terrain vehicles along the frozen river Ob to reach Yar Sale for dinner and to spend the night. 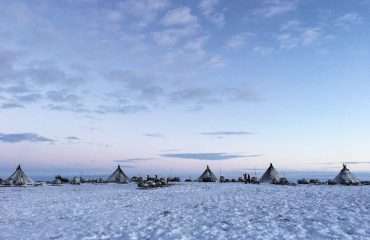 In the morning, the team gets kitted out in Nenets clothing and sets off in wooden box sledges pulled by snowmobiles to locate and join the Nenets encampment in the middle of the tundra. 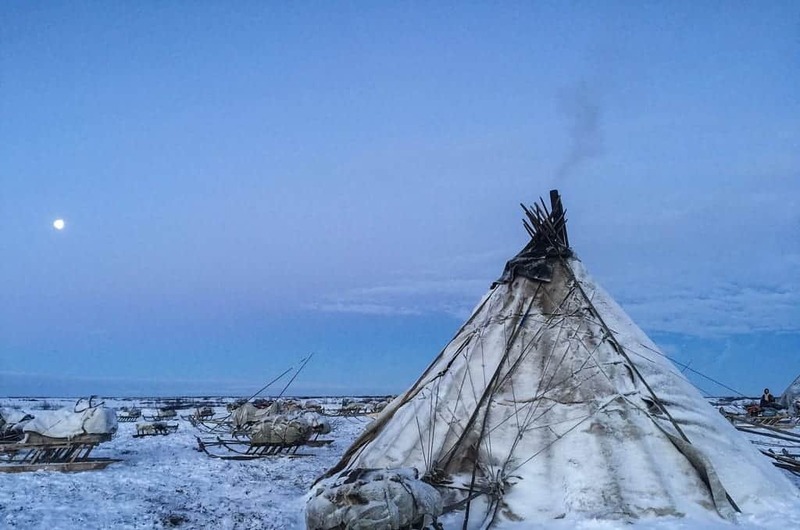 For nine days, the team will live, work, eat and rest with the Nenets, a few teammates per chum (the Nenets’ teepee-styled, reindeer-hide tents). 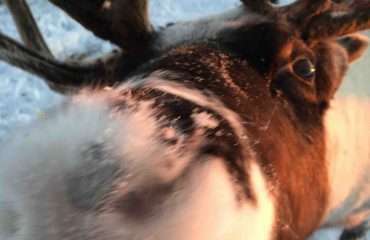 Take part in the daily routine of life among the reindeer herders. 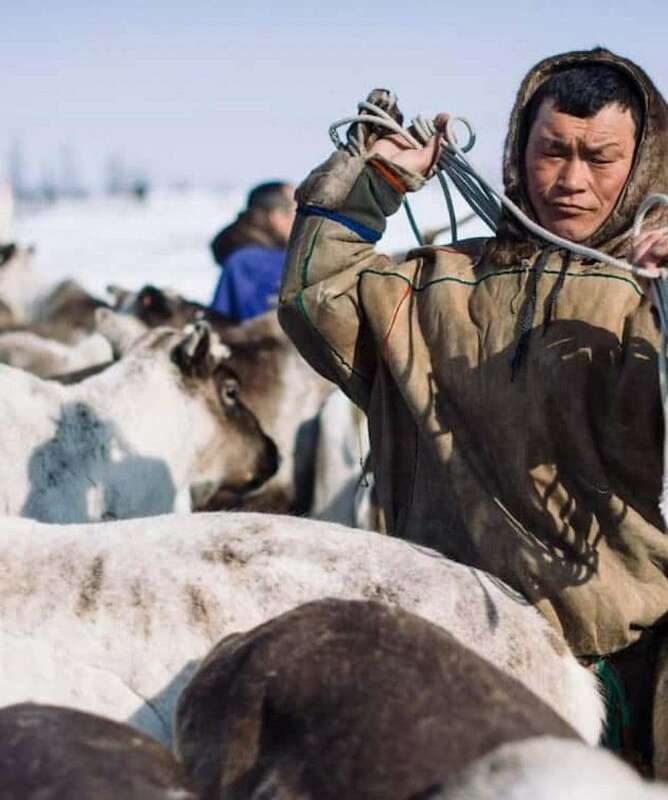 Dismantle the chums, pack the sledges and round up the reindeer to move on to fresh pastures every few days as the Nenets have done for generations. When conditions allow, the extended family of nomads will make the full crossing of the Gulf of Ob. This must be done in one go as there is no forage for the reindeer on the frozen surface. Depending on the weather conditions and terrain, this crossing has been known to take up to 24 hours but can be much quicker. 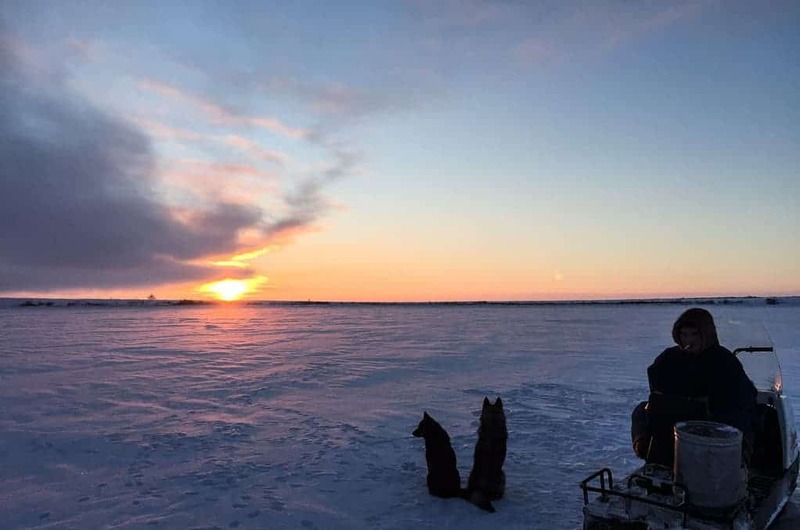 As with much of the travel between camps, this will be done with the Nenets and the teammates being pulled in box sledges or on snowmobiles. Returning to Yar Sale after the migration and an unforgettable foray into the frozen wilds of Siberia, the team prepares for the Reindeer Herding Festival. Herders from across the region take part in reindeer sledge racing and jumping, wrestling, lassoing and other traditional games. After lunch in Yar Sale it’s back on the all-terrain vehicles to return to Salekhard, home to museums, Obdursk fortress and a market square full of crafts and furs. There may be a chance to enjoy a traditional Russian sauna. A contingency day is scheduled here (following the migration stage of the expedition), in case bad weather prevents the return journey from Yar Sale to Salekhard. The internal flight lands in Moscow by approx. 1100 on 10 April, to meet outbound flights arranged for any time from 1500 earliest or 1600 onwards preferably. This allows a sensible amount of time to collect luggage from the internal flight terminal and to transfer to and recheck in at the international terminal at Domodedovo Airport. 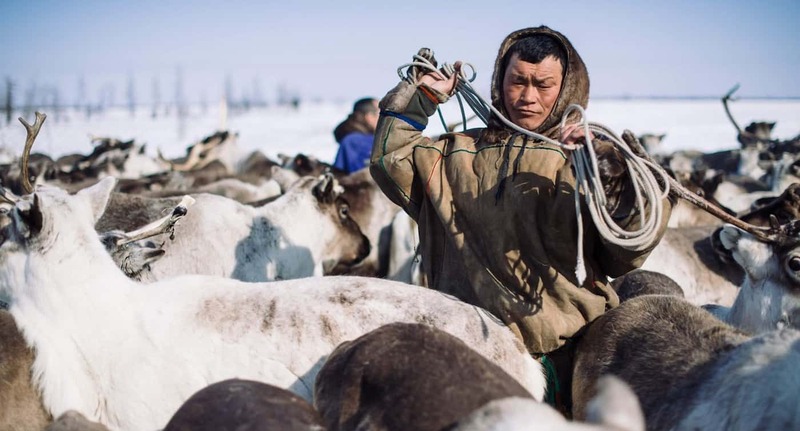 The aim of this culturally immersive expedition is to live and travel with Siberia’s Nenets nomads on their epic annual reindeer migration within the Arctic Circle. This journey offers cultural immersion of the highest calibre. 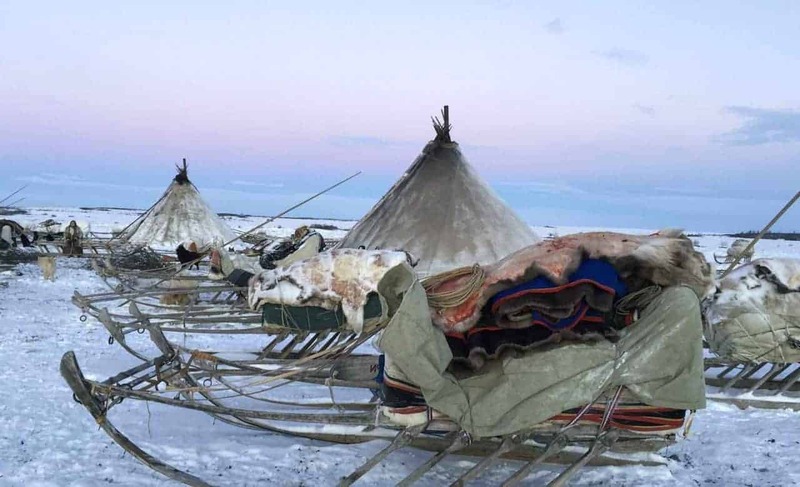 Teammates will totally embed themselves with their hosts, wearing what the Nenets wear, eating what they eat and sleeping in their conical reindeer-hide tents called chums (pronounced ‘chooms’). This is a rare opportunity to experience the unstaged reality of nomadic life out on the remote, freezing and the unforgiving Yamal Peninsula. 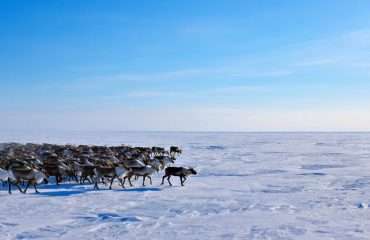 Twice a year the Nenets of the Yamal Peninsula migrate their reindeer for 60km across the frozen Gulf of Ob, a bay of the Arctic Ocean. This intense migration can take up to 24 hours, with the team keeping pace in all-terrain vehicles and sledges. With no pasture along the way, it’s a race to get to the other side before the reindeer become too weak from a lack of food. There will be no breaks for the herders, the vehicles, the animals or for you. The crossing of the Gulf is a highlight of this expedition, after which lies the promise of the annual Reindeer Herding Festival in Yar Sale. The festival is a chance to witness extraordinary events such as reindeer racing and traditional sports. 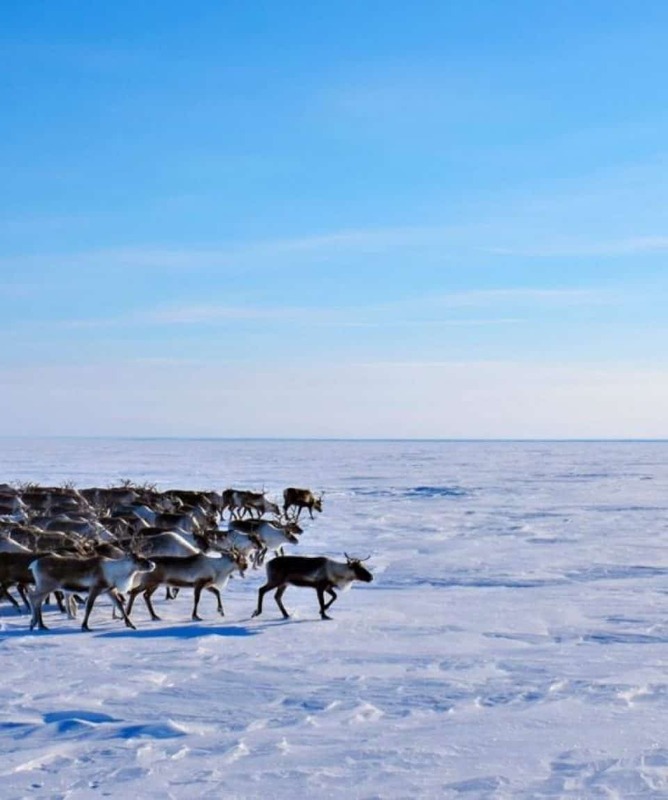 Cross a frozen gulf on an epic reindeer migration expedition. 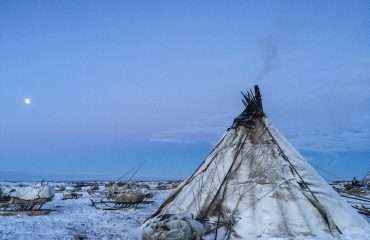 Immerse yourself in the Nenets nomads’ unique way of life. Sleep in reindeer hide chums. 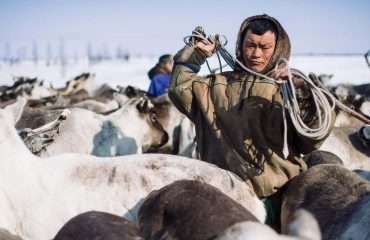 Wear traditional herders’ coats and boots. 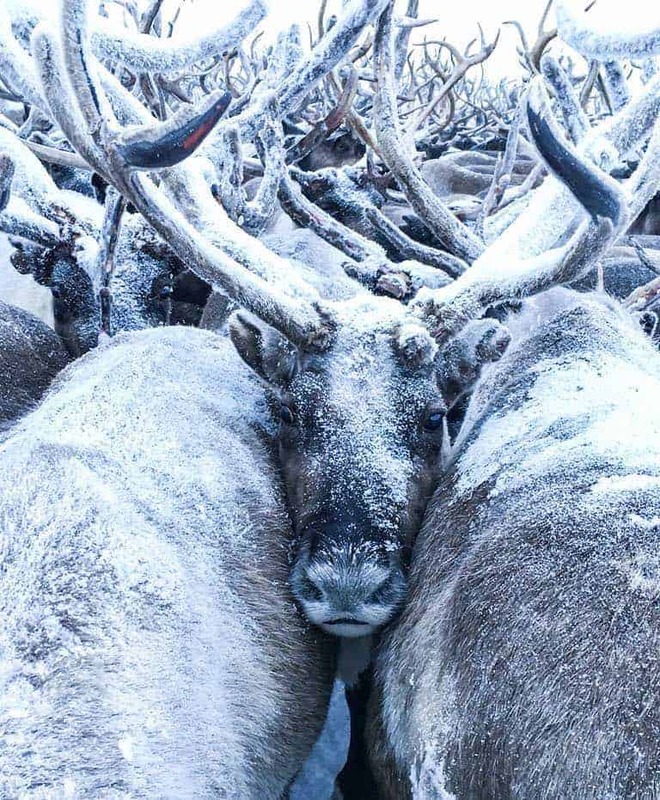 Experience the annual Reindeer Herding Festival. Travel by sledge, snowmobile and all-terrain vehicle. Look out for unusual Arctic flora and fauna. The Nenets have an extraordinarily rich and well-preserved culture. 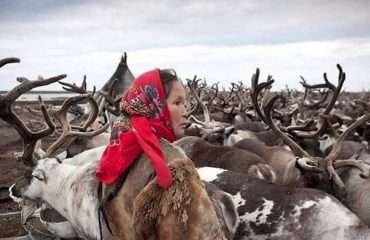 They are the guardians of a style of reindeer herding that is the last of its kind. 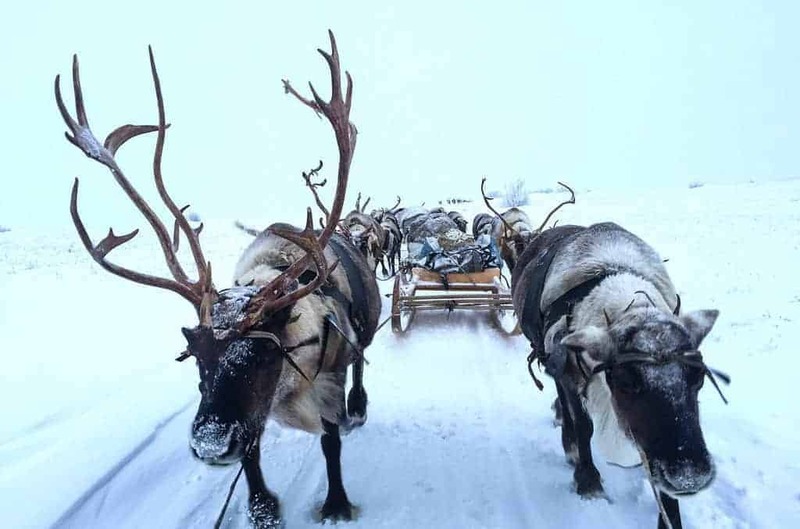 The Nenets dress in furs and traditional hand-sewn clothes live in reindeer-hide tents called chums and travel by reindeer-drawn and motorised sledges. 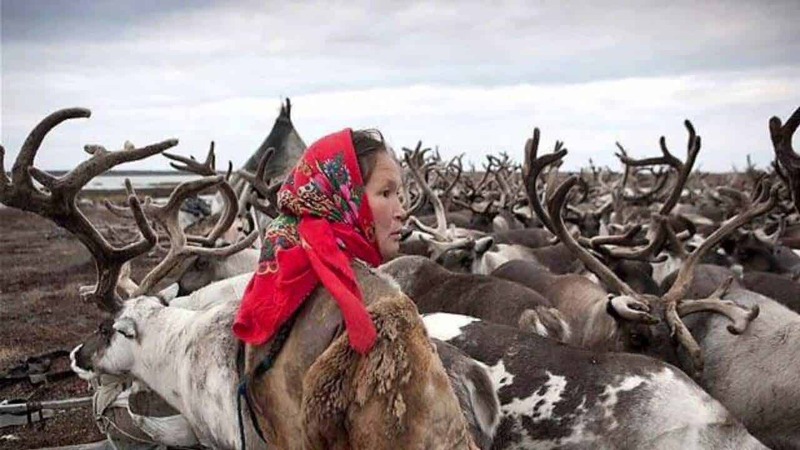 The Nenets are famed for being Arctic Russia’s best reindeer herders with the biggest herds, the longest migration routes and the best-preserved culture, religious beliefs and language. This expedition offers a real opportunity to experience this unique culture first-hand. Further information and cultural advice will be sent out to teammates upon booking. The Yamal Peninsula is one of the least known, but most important, regions of the Russian Federation. In the language of the indigenous Nenets, Yamal means ‘the end of the world’. With a territory around 1.5 times the size of France, the Yamal-Nenets Autonomous District (YNAO) is located in the north of West Siberia, just northeast of the geographic border between Europe and Asia above the Arctic Circle. Today more than 10,000 nomads herd 300,000 domestic reindeer on the pastures of the Arctic tundra. Under those pastures are huge gas deposits holding almost a quarter of the world’s known reserves. Increased interest in mining these deposits is one of the growing threats to the Nenets’ way of life. 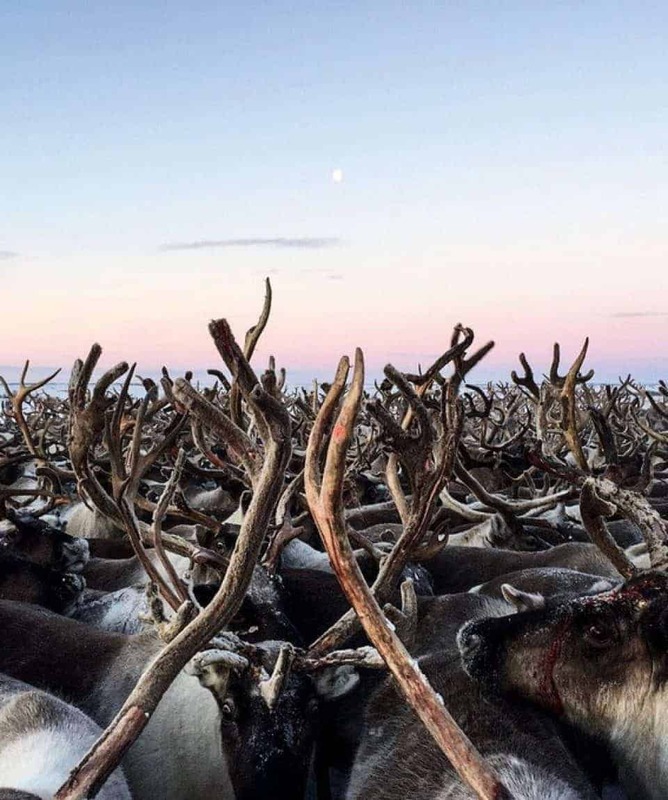 Over the course of a yearly migration of a thousand kilometres, the Nenets move gigantic herds of reindeer from their summer pastures in the north to winter pastures just south of the Arctic Circle. 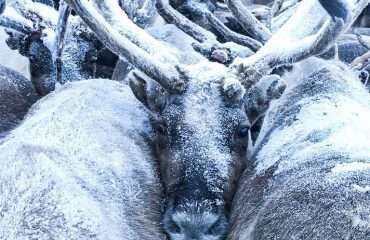 No-one knows for certain who is leading who – the reindeer or the people – but whoever is in charge, they have to battle one of the world’s harshest environments. After the migration, there is the opportunity to get involved in the annual Reindeer Herding Festival. 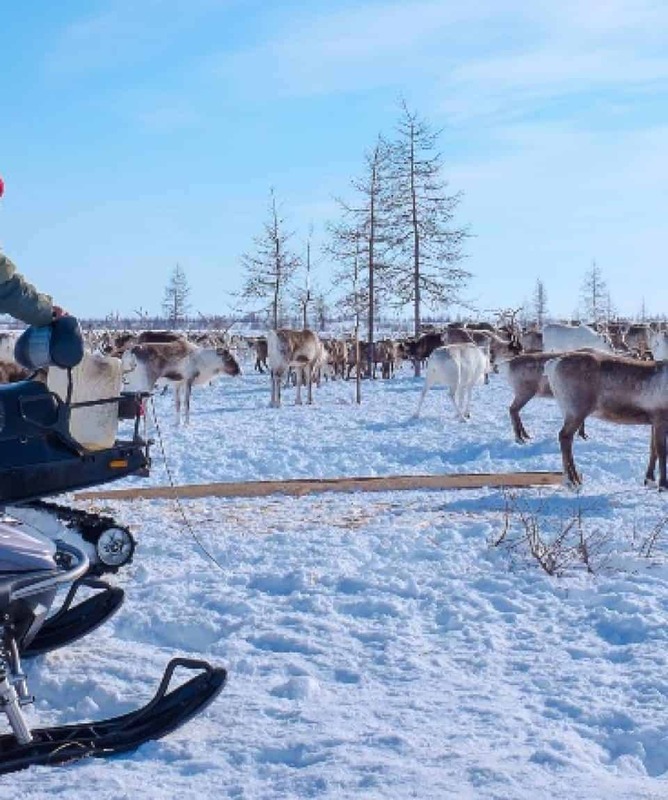 Herders from many different camps gather in Yar Sale village to take part in traditional sports including reindeer sledge racing, Nenets wrestling, sledge jumping, lassoing and many more. For families living in camps whose migration routes don’t cross, this is the one annual chance to meet up and young people often look for potential spouses. It is the celebratory event of the year and is certainly not to be missed. Spirits will be very high! In Moscow and urban areas, teammates will stay in comfortable hotels or apart-hotels. On expedition, small groups of teammates will stay across a few different chums, getting to know the Nenets family they are staying with. On expedition, teammates should prepare to live more simply and go without certain luxuries in the spirit of this culturally immersive journey. The call of nature will be answered out in the wild. Nenets eat much meat and fish – frozen, cooked or raw from a fresh kill or catch. Expect to eat a lot of white carbohydrates (bread and biscuits) alongside this protein source. Rice and spaghetti are rarely seen. An open mind on the food front is necessary. The Nenets eat at least five times a day, due to often moving around from dawn until dusk. Due to the minimalist and immersive nature of this expedition, accommodating special dietary requirements is possible but challenging, with non-meat eaters invited to bring their own source of protein. Outline any dietary requirements when applying to receive further details. This expedition involves an (included) internal return flight from Moscow to Salekhard. There will be a long all-terrain vehicle journey from Salekhard to Yar Sale. You’ll travel in wooden box sledges pulled by snowmobiles. Once with the Nenets and during the migrations, teammates will be pulled in sledges alongside the Nenets. This is not a migration on foot or skis so prepare for long journeys over tundra and ice in occasionally cramped or uncomfortable sledges pulled by motorised vehicles. Is This Activity Level Suitable for Me? 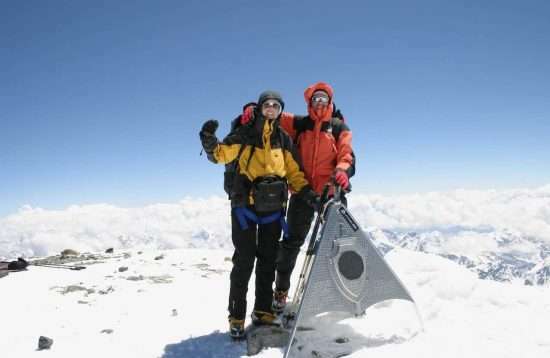 These expeditions are achievable by anyone with a healthy lifestyle and a good level of general fitness. 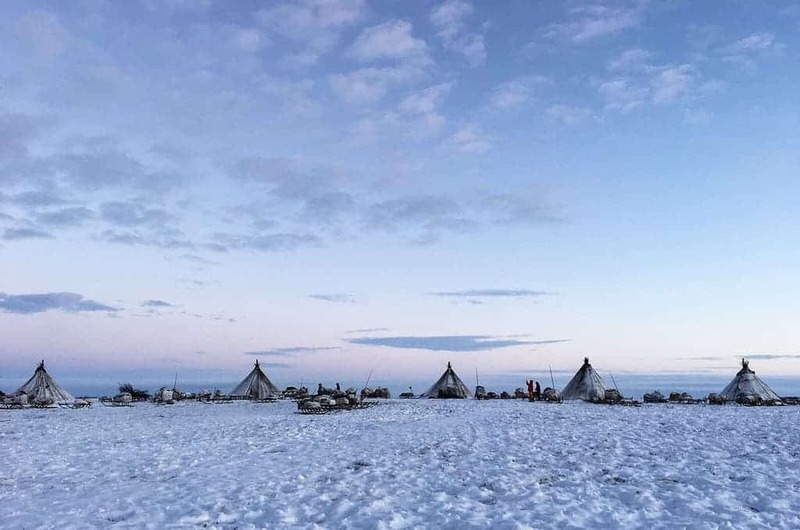 The biggest challenge on this culturally immersive expedition will be dealing with the Arctic weather conditions, the unusual and limited diet and the totally different lifestyle. There will be long days of travel in sometimes cramped and uncomfortable wooden box sledges. Though teammates will help set up camps and around the camp, there’ll also be down time between migrations. 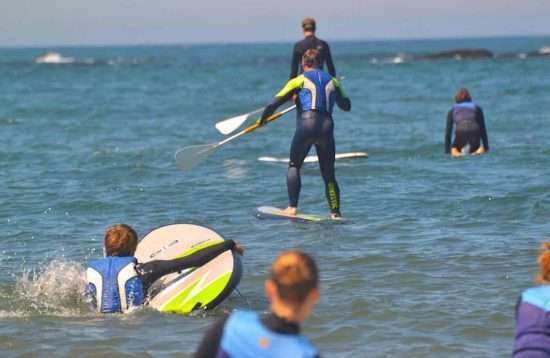 Teammates who arrive without meeting the agreed minimum fitness requirements can jeopardise themselves and the expedition’s goal so do take training seriously, prepare as appropriate and arrive fit and ready to go. Teammates must be comfortable with the following. Trek: short distances around camps and to collect wood. Strength: help carry water, chop wood, push sledges, put up chums. Terrain: icy tundra, snow, frozen lakes. Snowshoe: there may be chances to snowshoe around camp. Climate: deal with temps down to -35°c with howling Arctic winds.